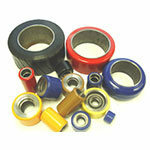 Ask about our wheel exchange program! 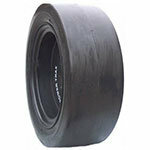 We keep a large quantity of pneumatic and solid skid steer tires in stock with different options for different preferences and conditions. 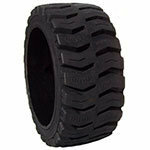 Our pneumatic skid steer tires have a wide lug tread pattern that makes sure you always have grip and won’t be left stranded. 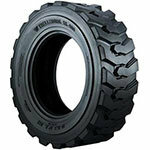 They are constructed using high quality materials for maximum tire life and resistance to cutting and chipping. 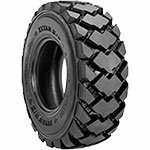 Our solid skid steer tires come in multiple tread options that span from our aggressive Powertrax D-Trac tread built to withstand the worst of conditions to smooth for use on the more delicate of surfaces. 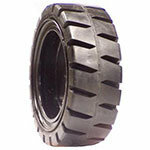 Do you have pneumatic skid steer tires? Don’t worry! 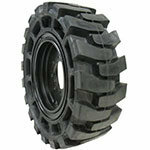 Just let us know and we can get you a new set of solid skid steer rims that will bolt right up to your skid steer. We also offer solid and poly filled pneumatic assemblies for most skid steer makes and models. 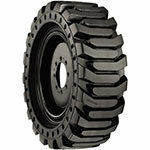 All you have to do is bring in your old tires and wheels or bring your unit and we will exchange them on the spot. 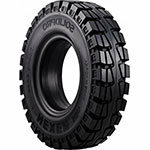 That way you can be back up and running without worrying about down time of flats when you go with the poly fill or solid tire option. 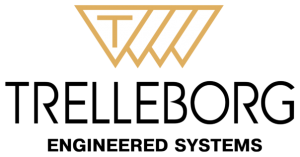 Give us a call to see if your skid steer qualifies for our tire and wheel exchange program!